MyWeather Mobile (Android) - Could this be the best weather app out there? ~ Android Forever! MyWeather Mobile (Android) - Could this be the best weather app out there? 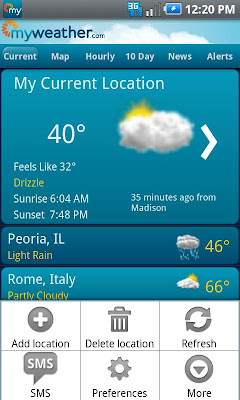 MyWeather Mobile for Android gives you instantly updated weather for the places you care about. This app syncs with your MyWeather.com settings, so you can harness the power of MyWeather.com, no matter where you are. And it's free! 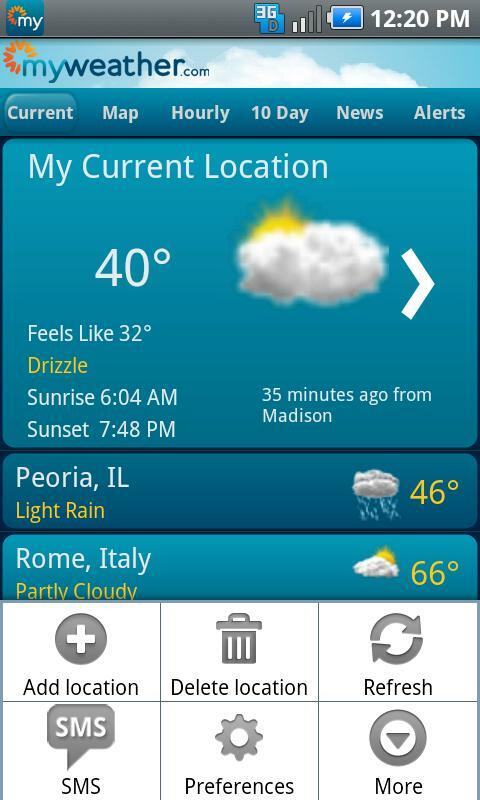 MyWeather Mobile is FREE on the Android Market!